Sky Trace now available for iOS! 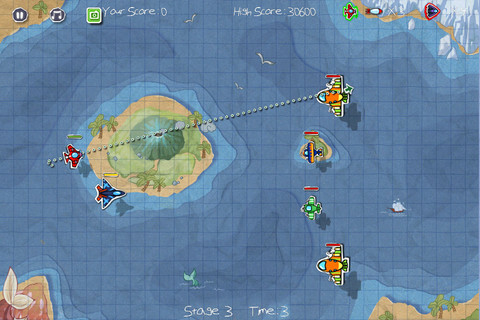 Sky Trace is a new mobile app available on the App Store, where players trace a path for an aircraft to maneuver through the skies and battle against their enemies. There are different missions in each stage, medals and achievements to collect, and eight different aircraft for players to take control of, each with different abilities. It’s fun, exciting gameplay wrapped in colorful cutout-style graphics! To find out more, check out Sky Trace on the App Store! Comments Off on Sky Trace now available for iOS!